The University of Notre Dame, Indiana, has had a long standing connection to Ireland. This relationship continues to this day,with the University home to initiatives such as the Keough-Naughton Institute for Irish Studies, and of course the famous ‘Fighting Irish’ sports teams. 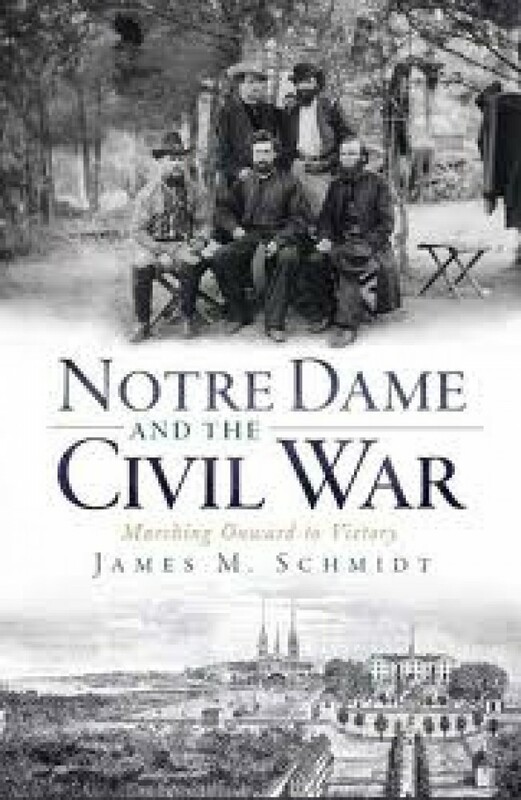 Now author James M. Schmidt has produced a book which charts Notre Dame’s involvement in the American Civil War, following the fortunes of the students, faculty and the school itself both during and after the conflict. Despite its Irish connections, Notre Dame was actually founded by a French member of the Congregation of the Holy Cross, Father Edward Sorin CSC. In 1842 he was given permission to establish the college on the site of an abandoned missionary outpost in northwest Indiana. By the time war broke out in 1861 over 200 students were in attendance. The college was later joined in the area by St. Mary’s Academy, when the Sisters of the Holy Cross moved their girls school near to Notre Dame in 1855. At the outbreak of war, many of the student body elected to take up arms. Schmidt tells us the stories of men such as Illinoisan William F. Lynch, who drilled the schools pre-war militia the ‘Continental Cadets’ and served in the ranks of James Mulligan’s 23rd Illinois- the ‘Irish Brigade’, before recruiting and becoming Colonel of the 58th Illinois. Another was Lieutenant Frank Baldwin of the 44th Indiana, who was killed at Stones River and whose father later commissioned a magnificent memorial to his son and all the veterans from Elkhart, Indiana. Past-pupil Lieutenant Orville T. Chamberlain of the 74th Indiana was awarded the Medal of Honor for gallantry at Chickamauga and wrote poignantly about the low prospects of him surviving the conflict later in the war. From an Irish perspective perhaps the best known contribution of Notre Dame to the Civil War was her chaplains. Seven of her priest’s went to minister to the troops during the course of the conflict, and Notre Dame and the Civil War explores their contribution in detail. These included Father James Dillon who joined the 63rd New York, Irish Brigade, Roscommon native Father Peter Cooney who served with the 35th Indiana ‘1st Irish’, and of course Father William Corby of the 88th New York, Irish Brigade, famed for his conditional absolution of the Irishmen at Gettysburg. Amongst the lesser known of the Notre Dame chaplains examined in the book is Father Paul E. Gillen from Co. Donegal. Father Gillen initially chose not to affiliate himself with a specific regiment, instead procuring a horse and buggy so he could travel amongst the Army of the Potomac offering mass as he went. When civilians and unauthorised vehicles were forbidden Father Gillen saw out the war as chaplain to the 170th New York, part of Corcoran’s Irish legion. The Sisters of the Holy Cross were also active in assisting the war effort, and the author examines their efforts to aid the sick and wounded, which included running hospital wards and providing the first three female nurses to be carried on a United States Navy hospital ship. This book is far more than just a run through of those individuals from Notre Dame who served in the Union ranks. Many other aspects of the University’s war and post-war experience are provided, and the author’s research has even uncovered two of the student body who threw in their lot with the Confederacy. The school continued to accept students throughout the war, and perhaps surprisingly many were from the South. This inevitably led to tensions on campus between ‘Union’ and ‘Confederate’ pupils, ill feelings that lingered on into the post-war student body. Notre Dame also played host to the children of some of the famous men of war, including William and Robert Pinkerton, sons of the Union spy Allan Pinkerton. Also amongst this group were William, Maria and Thomas Sherman, children of General William Tecumseh Sherman who was to develop a close rapport with the University. A further section of the book examines life on the campus after the war, including the establishment in 1897 of the University of Notre Dame Grand Army of the Republic Post 569, which had Father Corby as its first commander. This book is written in a logical and easily digestible style, and is well illustrated throughout. The author has carried out extensive research on all aspects of the University’s involvement and experience of the conflict, and has produced a fine record that goes beyond a simple narrative of its combat veterans. 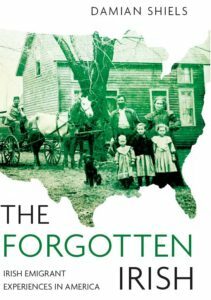 It successfully provides a sense of the effects of the war on the community of students, staff, past-pupils and families associated with the school in Indiana. Notre Dame and the Civil War is a book that should attract a wide readership, not least amongst those interested in the Irish experience of the American Civil War. 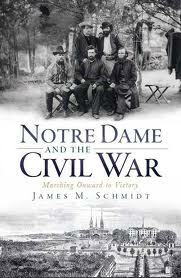 To find out more about the book and the author, visit James Schmidt’s blog Notre Dame in the Civil War. Schmidt James M. 2010. Notre Dame and the Civil War: Marching Onward to Victory. 142pp.